Amazon is the largest e-commerce company in the world. It was started in 1994 as an online bookstore and then eventually added more products. One of the greatest features on Amazon is the ability for people to leave reviews for products. This provides other buyers with a sense of how good a product is and any flaws they may encounter, which is a huge paradigm shift from traditional brick and mortar stores. A lot of the times customers will be frustrated with a product and leave a negative review. 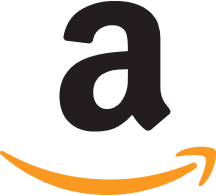 ReviewBot will monitor Amazon for you and notify you when you get a new review by posting it in one of the integrations that we support. Included in the notification is a reply link that will take you to the correct page on Amazon for you to respond to a customer, which can be a great way to address those negative reviews. The status reports will give you an idea if one of your products needs extra attention and also the ability to compare it to a competitors product.